Nutrition is a term that has often filled you with worry. Am I eating the right kind of food, especially proteins that happen to be the building blocks of life? Sure, meats along with a handful of lentils and green veggies can help you but why should you not get your sustenance in the form of an inexpensive yet highly nutritive product? It may be time to opt for edible insects. Cricket flour and cricket powders are a good way to start. 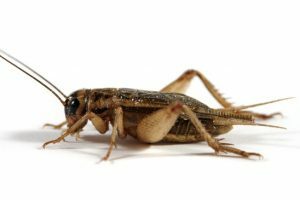 Cricket flour is made by grinding fresh farm raised crickets into powder. You can buy it as a coarse ground variety or a finely ground one. The flour also known as cricket powder is extremely high in protein, amino acids, and other nutrients. 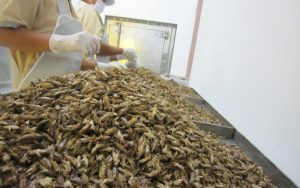 People in South-East Asia (specifically Thailand, where we are) have always embraced insects and cricket protein. The Western world is slowly developing a taste for it now that it is becoming more ubiquitous. The FDA has made certain allowances for acceptance of cricket powder. A factor that makes ordering the cricket protein products in bulk completely safe and legal. Cricket flour is becoming popular in the West now, especially in US and Europe. The physical attributes of cricket flour have contributed largely to its popularity as the product is similar to a coarsely or finely grained powder. You do not have to bite into an insect and hear a crunch at all. This has helped in developing the market for cricket protein. Another feature of the cricket powder is the ease with which it can be used. You are welcome to add a teaspoonful of this high protein powder to your cookie and cake mixes while your gravies and sauces turn out to be interesting dishes with the cricket flour imparting a slightly nutty, earthy flavor. The result happens to be Ýum’ indeed! You would be happy to try out protein bars made with cricket powder or a protein drink mixed with cricket flour, if you happen to be a addicted to working out and developing your muscles. You might also try out restaurant specializing in cricket protein, if you are averse to cooking with it the first time. Check out the recipes online before you end of ordering in bulk though. Alternatively, you can be certain of making a generous profit by ordering wholesale supplies of cricket flour and then selling them in small quantities to your loyal customers. The farms are 100% eco friendly as well making this source of protein beneficial for both human beings as well as the planet.